I’m Chalice Bartholomew and I’m a second year radio production student at the University of Brighton. I decided to apply for the SP-ARK placement as I really enjoy films, I thought it would be a fantastic opportunity to create a podcast for aspiring film students. I found it fascinating visiting the archive; I can’t say that I’ve ever done that before. The fact that there were such intricate pieces of SP-ARK’s history right in front of you was astonishing. Being able to look at certain drawings and seeing props, then being able to pin point them when watching the film was completely surreal experience. I really enjoyed working within the SP-ARK team I found everyone welcoming and enjoyable to work with. Adam and myself mainly worked within a freelancing environment, which was the first time either of us have done this. It was strange experience, but we ended up working well and professionally together. I found that working within my own environment, helped me to push forward my ideas and have confidence with them. As a whole my favourite part was the process of creating the podcast, from having the basics then the journey of creating for a professional website. We found that the staff were professional and open to us putting our own mark and interpretations within the podcast. I had learnt a new skill through transcribing; it was interesting listening to all the tiers that created different aspects of the film. I feel that as a production student, that a student would benefit from this podcast , as it gives them the information for their potential route into the industry. I found that the experience helped me further improve my skills that I’ve learnt on my course. I also now feel a great sense of achievement in what we’ve created only within a number of weeks, I’m extremely proud with our work. I’ve also learnt how to work within a professional environment, stick to the deadlines and overall how to create a successful podcast. 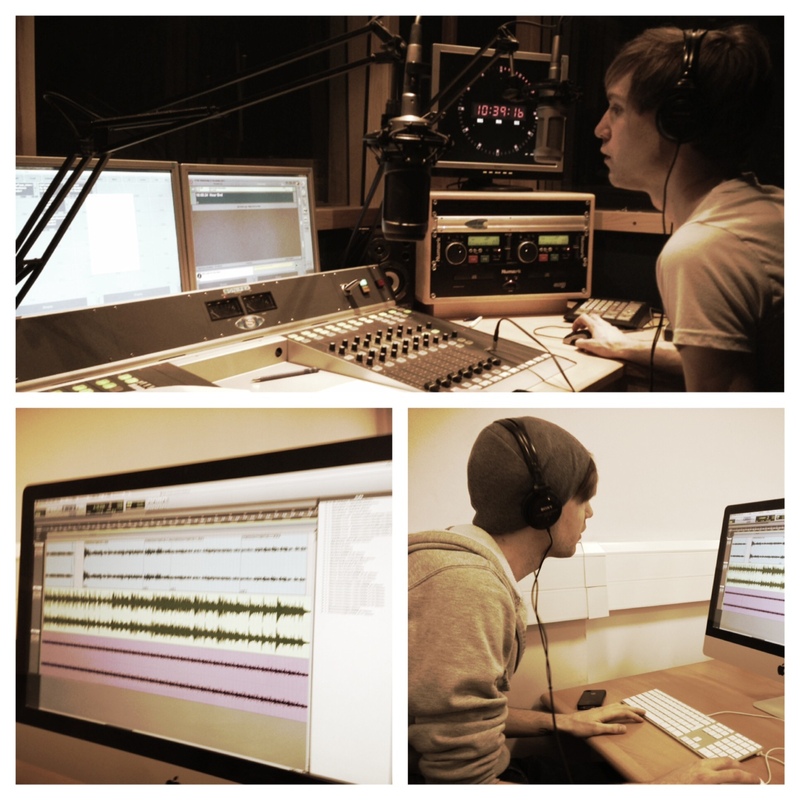 I’m Adam Johnson and I’m a second year radio production student at the University of Brighton. The reason that I applied for the SP-ARK position, is that I’m an avid listener of podcasts such as This American life and Radio lab, I thought that a podcast would be an interesting challenge for myself. I found that the SP-ARK team were very interested in our thoughts, and I found it refreshing that they were taking such awareness in the students progressing their studies through using the SP-ARK archive. The freelance aspect was an experience also, as I found it a better atmosphere to work either within the University or in my own home. The process of creating the podcast was extremely satisfying for me, as listening to them on a regular basis I wanted to bring in the engaging atmosphere I hear weekly. I feel that we did that by using the different interviews of the production; the interviews I felt were extremely engaging. I’m not from a film background but I found that the interviews were fascinating as they’re not your typical interviewee’s, stereotypically when you think of film interviews you expect the main cast or crew , but it was refreshing from a production side to hear the multiple layers to how the film was constructed. Overall I feel that it has further enhanced my skills, now I feel confident I can make a broadcast worthy podcast. I feel a sense of pride within our work, in what we’ve managed to achieve within a couple of weeks. I also have formed new skills from the transcribing , it was an extremely tedious process, but it’s a skill I would be able to take with me in the future.